Very pretty! 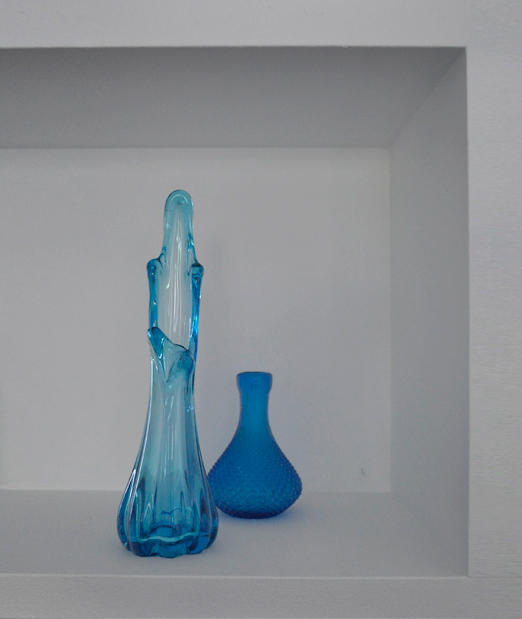 I have always had a thing for blue glass… even in high school. For years my mom would buy me TONS of blue glass for Christmas. It got a little out of hand… as in “STOP BUYING ME BLUE STUFF” every year. It was sweet but overkill. I still adore seeing unique pieces like this. LOVE IT!